Children with English as their second language are outperforming their native peers. Children in North Tyneside who do not speak English as a first language are more likely to pass important Year 1 reading tests than native speakers, figures reveal. In North Tyneside, in 2018, 84 per cent of native English speakers passed, compared to 86 cent of children where English was not their first language. With boys the pass rate was 82 per cent to 81 per cent in favour of those speaking English as a second language. Girls who spoke English as a second language fared better than those who spoke it as a native tongue. However, the NEU does not believe phonics help children learn to read. In 2018, 73 per cent of children on free school meals passed, while 85 per cent of other pupils did. 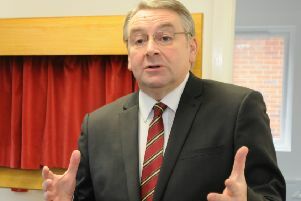 In North Tyneside, 84 per cent of pupils passed this year, compared with 60 per cent in 2012. Across England the pass rate has risen from 58 per cent to 82 per cent. North Tyneside has a slightly better pass rate than average for the North East which is 83 per cent. “I remain concerned that 18 per cent are not reaching that standard nationally and that 30 per cent of children eligible for free school meals are not reaching the expected standard in the phonics check.